I am Dr. 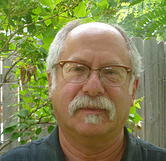 Rob Danin, a former faculty member at the University of Colorado at Colorado Springs (UCCS) College of Education. I worked directly in the development and implementation of the Daegu Gyeongbuk English Village (DGEV) in South Korea, an English language and western cultures experiential learning environment, and served as its first Lead Coordinator. I served for two years as the Senior English Language Fellow in the Russian Far East. My time with the many dedicated educators and their students throughout this wonderful region has been inspiring. Our collaborative efforts provided both a greater understanding and effective quality of instruction for the English language learners we serve. My current role as an English as a Foreign Language (EFL) Specialist allows me to continue to train, consult and develop programs internationally with those professionals who teach English as a foreign language to students as well as teachers-in-training. The continued opportunities to teach and learn alongside my global colleagues is both refreshing and rewarding. This web site is not an official U.S. Department of State web site. The views and information presented are the web site provider's own and do not represent the U.S. Department of State.